Although the final decisions will not be made until sometime this spring, proposals for a distinctly different type of GPS constellation appear to be off the table, sources tell Inside GNSS. The plan now appears to forego any major shift in the design of the satellites such as those proposed in Lower Cost Solutions for Providing Global Positioning System (GPS) Capability, an Air Force report delivered to Congress last April. The established course of modernization will proceed largely unchanged, say sources, but it will take longer to build and launch the GPS III satellites and add the new signals. Full implementation of the new military M-code, for example, will be pushed back roughly four years at least, noted one source. Those waiting for the new civil signals will also have to be patient. The current course of action will likely raise the total cost of the modernized system although the higher costs will be spread out over time in a way that fits more appropriately into budgets constrained by sequestration and the overall post-war downsizing taking hold at the Pentagon. The fiscal year 2015 (FY15) budget McMurry was describing reflects the decisions so far. The FY15 request for money to procure GPS III satellites is just $292.397 million — down dramatically from the White House’s request for $477.598 million in FY14 and roughly half of the $531 million the White House projected it would need for the program just last year. It is less even than the $450.598 million allocated by Congress. The administration is also asking $212.571 million for GPS III development, somewhat less than the $221.276 million requested last year and only slightly smaller than the $215 million that was projected to be needed last year. The request is a bit more than the $201.276 million Congress appropriated for FY14. The request to procure Block IIF satellites is about the same as last year — $52.09 million — but the new ground control segment faces al reduction. Whether it is a big or small cut depends on how you look at it. The White House is asking for $299.76 million in FY15 for the Next Generation Operational Control System or OCX. That is down sharply from its $383.5 million request last year and the congressionally approved FY14 amount of $373.5 million. In the projections that accompany each budget, however, the White House last year only anticipated asking for $303.5 million for FY15. In fact, both the FY14 and FY15 budgets project falling GPS allocations for the next several years. This is despite the fact that the program has been experiencing delays and challenges — the sort of things that normally add to the cost. How these two trends will mesh in the end is unclear. Where it had planned to buy two GPS IIIs this year, the Air Forces now plans to buy only the ninth in the series and put down money for long lead items on Space Vehicle 10 (SV10). It will then buy just one new satellite next year and three each year for the next three years, according to McMurry. The launches will be stretched out a bit as well. Five GPS missions will see their booster procurement moved past 2017, said McMurry. That has implications for Department of Defense (DoD) plans to introduce more competition into the launch procurements. The long life of the existing satellites is making it possible to find savings without undermining the quality of the GPS system, officials said. “(The) satellites are living longer than we predicted so we didn’t need to replenish those as fast as we originally planned. And it made no sense to spend that money if we didn’t need the satellites,” said Troy Meink, deputy under secretary of the Air Force for space. Less clear is how many satellites the Air Force plans to have in the constellation over the long run. The FY15 budget “reprofiles Global Positioning System, GPS III, to meet constellation sustainment demands,” said Under Secretary of the Air Force Eric Fanning. “Sustainment,” however, does not necessarily mean supporting the constellation in its current configuration, which stands at 31 satellites plus spares. While having more satellites is advantageous to those on the ground, it is not strictly necessary according to Air Force mandates. Those backup satellites just have “to last until the next launch,” said the source, suggesting it is realistic that the Air Force will be able to keep the number of satellites up even though the spacecraft have been operating far past their design lives. The question is whether the next launch, or launches, can happen fast enough. The existing satellites were launched in clusters and are therefore at risk of failing in groups as they age out. Will the Air Force have the satellites it needs and the lift capacity required to deal with a sudden, rapid loss of the older spacecraft? Inside GNSS has learned that, even though the Pentagon has slashed the funding for dual launch, plans are in the works to enable the lighter payloads and dual-launch capability needed to rapidly refresh the constellation. The United Launch Alliance, a 50/50 joint venture between Lockheed and Boeing, is stepping in to finish the work. “ULA is funding the launch vehicle development work that will enable dual launches of GPS III and other potential satellites, with a planned first launch capability in 2017,” the company said in a written response to a question from Inside GNSS. And the Air Force will continue to fund the technology needed on the satellites to make dual launch possible. The satellites might still be too heavy to launch two at a time unless some other changes are made. To address that, said a source, military managers are planning to build flexibility into the GPS III satellites that will enable the service to drop the Nuclear Detonation Detection System or NDS payload from the GPS III satellite if necessary. The built-in flexibility also means the GPS program will not have to plan around any delays in the new NDS payload — which is on schedule but still needs a good deal of testing, the source said. Dual-launch capability and potentially lighter satellites are a variation on a far more ambitious proposal to develop a stripped-down version of the GPS III spacecraft that would not carry the NDS and provide fewer signals. These smaller satellites would likely have been used in combination with some of the larger, regular GPS spacecraft. The austere NavSats or “NibbleSats” were cheaper to build and could have been launched at least two at a time — perhaps even in clutches of three or four — dramatically reducing the cost of maintaining the constellation. But the proposal was set aside after hitting a number of stumbling blocks involving funding and contract management, sources told Inside GNSS. It is not only hard to get money for new starts (new programs), the rules governing the seemingly endless rounds of Congressional budget extensions mean the program could have become tangled in delays, said Stan Collender, national director of financial communications for Qorvis Communications and an expert on the federal budget. Moving to small satellites would also have been such a big change that it likely would have required the Air Force to recompete the GPS III contract. New procurements face a long process fraught with complexities and the uncertainties created whenever new contractors enter a program where legacy satellites have been in place so long that they are frequently referred to jokingly as being “old enough to vote” — that is, have reached 18 years of age. The prospect of reopening the contract is why “NavSats, small sats, little sats — that stuff is off the table,” said a source, who has been following the issue. That does not mean the GPS III program will proceed without a few enhancements. Col. Bill Cooley, director of the GPS Directorate, said the Air Force is “looking at a design turn” and is examining using better solar panels and traveling wave tube amplifiers or TWTAs (TWEEtas) which could reduce power requirements. Changing the batteries is also under consideration, according to sources. One expert pointed out that some of older battery technology is not even available anymore. Another source said that lithium-ion batteries were being considered. “The decisions are in the process of being made,” Cooley told Inside GNSS. That decision process may be playing a role in the delay of the first GPS III satellite, which is now not expected to be ready until FY16. Right now, however, interference problems within the satellite’s navigation payload have to be resolved. The problems in the payload, which is being build by Virginia-based Exelis, have already been cited as a reason for delays in the program. The GPS IIIs must generate and transmit eight signals — legacy military P-code on L1 and L2 frequencies and civil C/A-code on L1, as well as the new dual-frequency M-code, and civil L1C, L2C, and L5 signals. In order to keep the timing and everything synchronized, there is “one critical box” involved in their generation, said Cooley. Sources confirm that the Air Force seems to have workable solutions in hand. Although those solutions may need extensive testing, the potentially two-year delay could also give the program time to work in some of the innovations mentioned previously. Program managers may also just be working hard to get the most out of the new satellites. What the changes, delays, and development problems mean for GPS III prime contractor Lockheed Martin is unclear. What the delay in the first GPS III satellite means to Raytheon is that the OCX prime will have more time to work on ground segment modernization that already slipped behind schedule, said McMurry, who attributed slippage in the initial GPS III delivery as the biggest reason for a new delay in the OCX program. OCX program managers may get more time still if all the money from the civil side of the GPS program does not come through. As noted earlier, the White House scaled back their FY15 defense budget request for OCX to $300 million This is just under the $303.5 million that was projected to be needed this year though the program has been experiencing difficulties. This is the request for the Defense Department. OCX also gets part of its money from the U.S. Department of Transportation (DoT), and a long string of underpayments from DoT has put GPS program managers in a position where they will be forced to reprogram OCX, adding some six months to the schedule and tens of millions to DoT’s bill, according to an expert with knowledge of the issue. The White House gave DoT the responsibility for funding those parts of the GPS program needed by civil users, and DoT handed the Federal Aviation Administration (FAA) the actual funding task. The FAA has largely failed, however, to persuade Congress to allocate the money for the civil funding. This has forced the agency, which has cost overruns on other programs, to short its payments to DoD for the last several years. The FAA is now trying to make up for those too-small payments but “it’s not pretty,” said the source, who spoke on condition of anonymity. The Administration’s FY15 budget request for civil funding actually jumped from the $20 million requested last year to $27 million — better, but still a far cry from the $40 to $50 million that was supposed to be allocated each year for five years. Even so, if FAA convinces Congress to approve the whole request it will be a dramatic improvement over the scant $6 million it got for FY14. Failure to win over lawmakers could have significant consequences. Up to now the Air Force has been able to manage around the budget shortfalls and keep things more or less on track. With sequestration and other cuts coming out of DoD space programs, GPS program managers are no longer in a position to finagle funding for civil capabilities. 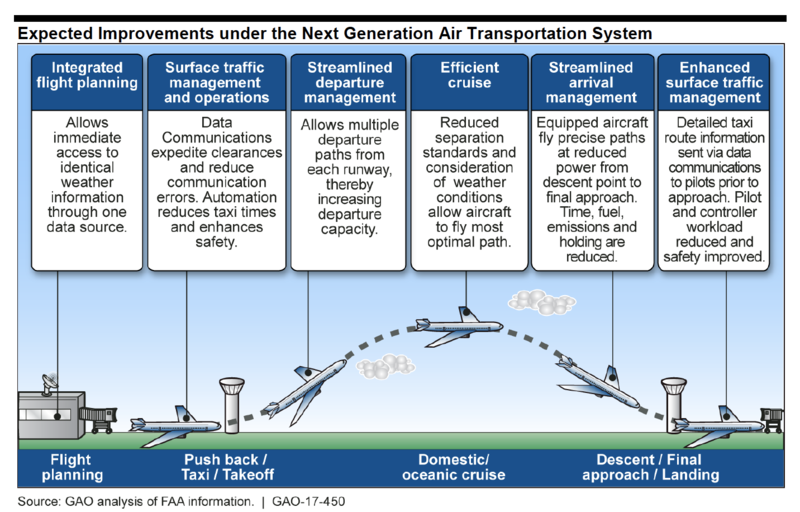 The source told Inside GNSS that, should the FAA fail to secure adequate monies, the OCX program to will have to be stretched out some six months at considerable expense — money that FAA will also be expected to make up. The total bill for what FAA owes plus the added cost of delay would top $100 million said the source — nearly four times the current budget request. The budget crunch could get even worse if sequestration is applied without changes in 2016. Still unclear is how the launch rate or other aspects of the program would be affected, but it is clear, said Collender, that budget politics mean sequestration is likely to remain a factor. He estimated a 3-out-of-4 chance that the cuts will return in full force in the 2016 budget. That could force still more changes to the GPS program and perhaps even reopen consideration of a GPS III redesign,experts hinted. Asked what options the Air Force was looking at for the long term, Cooley left the door open. “What options are we not looking at?” he said.